Dina, thank you! I do love the classics! Apple pie yum yum one of my favourites. Really like this rustic look. Thanks, Magnolia! I've always liked rustic. Had that discussion several years ago with a friend who likes to make everything look like it came out of a package. Thanks, Diana! It was tasty! I actually prefer the rustic crust. This is great shared with friends and a pot of freshly brewed Chai in the cold afternoon. 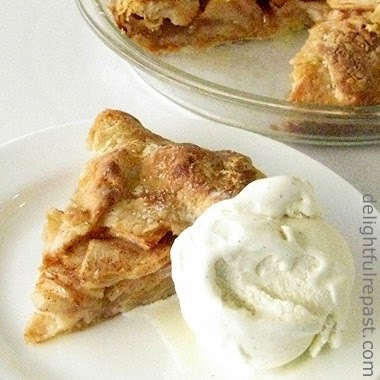 Apple pie is my absolute favorite pie.. and finding a way to make the process easier is a total bonus! Looks lovely, Jean! Angie, thanks! Yes, that sounds like my kind of afternoon! Thanks, Jenn! These days, if we can find a shortcut that doesn't shortchange quality and flavor, I say let's take it! Sully, it can't be too tart for us; but I might just deliberately make it too tart so I could enjoy it with "a caramel boa"! With or without the lights on, that's a natural combination! What a beautiful pie! love the sour cream pastry! Mary, thank you. Glad you like it! Shhh...don't tell my hubby, but apple desserts trump chocolate. And your galette look fantastic!!! Thanks, Liz! Yep, I'll take a fruit dessert over a chocolate one every time! Jean--looks yummy as usual. I did make the scones for my hubby. They were delicious! I am not a scone fan--but these had a fabulous consistency--not dry like the others. Thanks, Sue! And thanks for getting back to me about the scones. Glad you liked them! I would be more inclined to make apple pie the rustic way. I agree that pie-making does take a lot of time. I love that there is sour cream in the crust. Looks like a keeper! Lana, thank you! 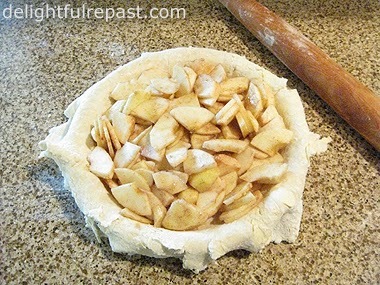 And you can always shortcut it buy using an already rolled out ready-made crust. Just roll it out another couple of inches to give you something to bring up over the apples. Ha! Jean, I've always liked a nice tart. This sounds so naughty, but, nice. Now , I'm always one for short cuts. If we were to turn this lovely luscious lip smacking delicacy into an acronym we would be eating, RAT!!! No,now, honestly, Jean, it sounds lovely. I don't think there are enough exquisite superlatives to describe just how deliciously amazing your rustic tart looks!!! Wow! I'm salivating at the sight of it. You sure do inspire with your delightful repasts! Thanks, Grant! I love your enthusiasm! Hooray, I can actually make a sour cream crust, since I live somewhere now where sour cream is actually available in stores!! This looks great Jean - I agree with you about apples being an effort to prepare. 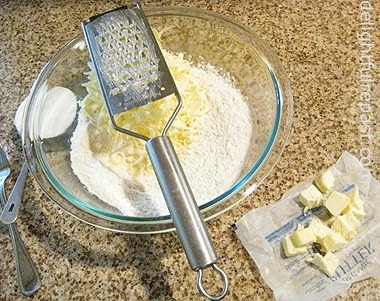 I usually just shred or grate them, or just slice them up skin and all! Thanks, Charles! Yes, sometimes I don't bother to peel them either, since I buy organic apples that haven't been waxed. Glad you can get sour cream now! Oh my! 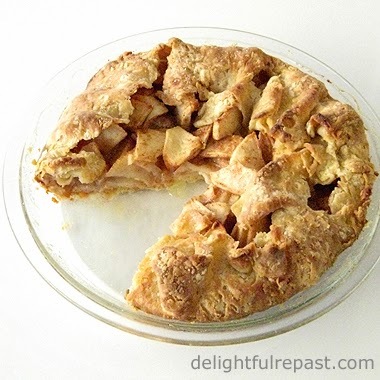 Your Rustic Apple Tart looks so good, I may be drooling on my keyboard, LOL I love trying new recipes and I can not wait to try your Chicken Enchiladas, those are a favorite of ours, but I have never trying making them homemade. 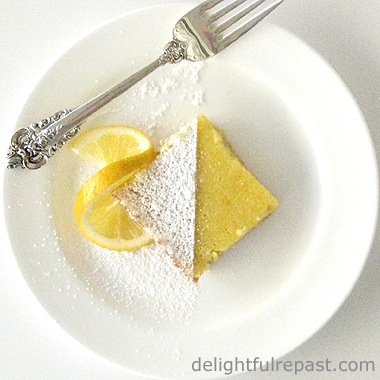 I am delighted to find this recipe and over-joyed in finding your blog. I would like to take this opportunity to invite you to visit and possibly follow me back. Connie, thank you so much! And I will definitely be paying regular visits to your blog as I try to reawaken my sewing/crafting gene. Thanks, Greg! I like that description -- unconstrained!